What should I expect from my Referring Musician? Contact us! Or feel free to browse through our Frequently Asked Questions below. 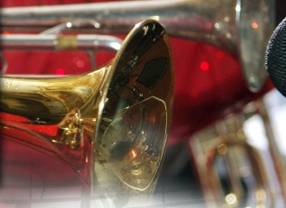 From traditional options like harp, strings, piano, jazz combo, wedding bands, DJs, to more customized alternatives like bagpipes, steel drums, klezmer bands, or alpenhorns, we have access to a worldwide network of musicians that helps us to best meet your needs. While we do accommodate every request, our most common services involve matching musicians for classical, jazz, and cocktail settings. Groups for these engagements generally consist of 1-5 musicians. While it is rare, you may have as many as three points of contact: Your Consultant, a Referring musician, and the actual Performing musician. Consultants are your first and last points of contact. They are responsible for making sure you are comfortable and well informed of the process. After Finding out your preferences and constraints, Consultants communicate those needs to a Referring Musician (RM), who will be your guide and contact for your event. After your event, the Consultant will contact you again for feedback. 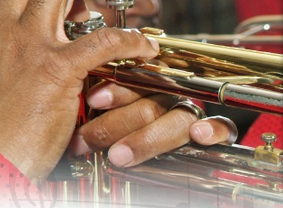 Referring Musicians search for any other necessary Performing Musicians (PMs) for your event. When acting additionally as the head PM, they are responsible for negotiating any necessary contracts with you, discussing payment options, and keeping you well informed throughout the rest of the process. Performing Musicians (PMs) should display proper etiquette, perform in a manner that is musically appropriate, and be accommodating and flexible, within the boundaries of their contract. For cases in which the RM will not be acting additionally as a PM, a head PM will negotiate the necessary contracts and discuss with you your payment options. As a general practice, it is customary to send your RM a small deposit to reserve the date for your event. The remainder of the payment is distributed at the event, upon the completion of service. Your RM will discuss with you the most convenient payment options for your event, should the above method not be practical. Payment may or may not include additional cartage fees (transportation and setup costs for larger instruments). While tipping is not required, it is greatly appreciated by the Performing Musicians. Generally, 10-20% is appropriate if you are pleased with their work. In most cases, the only contract you will sign is the contract you negotiate with the Referring Musicians. If any problems arise, your first point of contact is the Referring Musician. If the RM can not be reached, your original Consultant will be eager to assist you in any way possible. Correct! Our consulting service is completely free for Patrons of live music. Our Consultants are here to answer all of your questions, and provide professional experience and guidance to you, absolutely free. The only payment owed is to the Musicians you hire based on our recommendation.